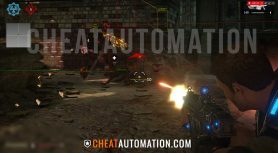 Tear apart your opponents with CheatAutomation's Fully Loaded Gears of War 4 Hack. 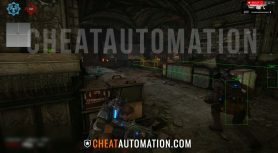 Dominate online with CheatAutomation’s fully loaded Gears of War 4 hack, which lets you completely demolish your opponents in versus mode, and cut down hordes of enemies in horde mode. 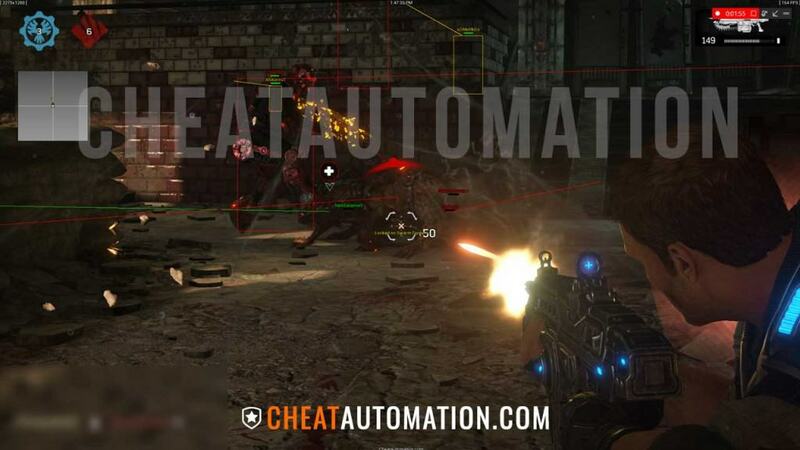 With our cheat, take down anyone who gets in your way with our precision bone aimbot, ensuring maximum accuracy at all times. Never miss a clutch shotgun blast or headshot again. 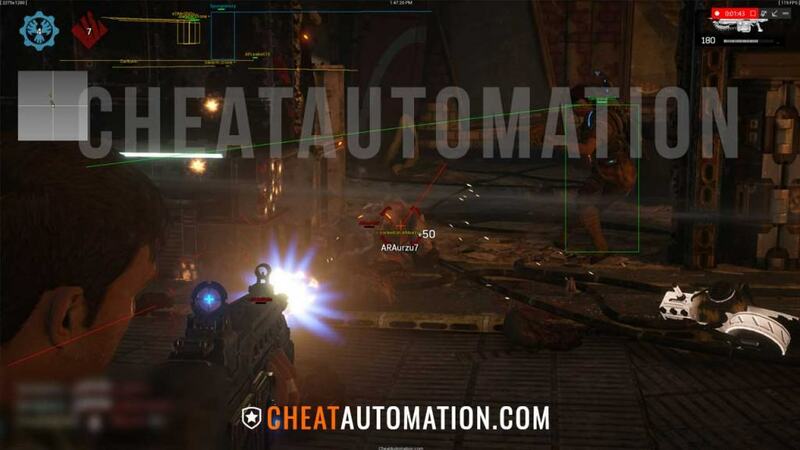 our Gears of War 4 aimbot includes numerous features including FOV, custom aim-key, lock-on indicator and more. 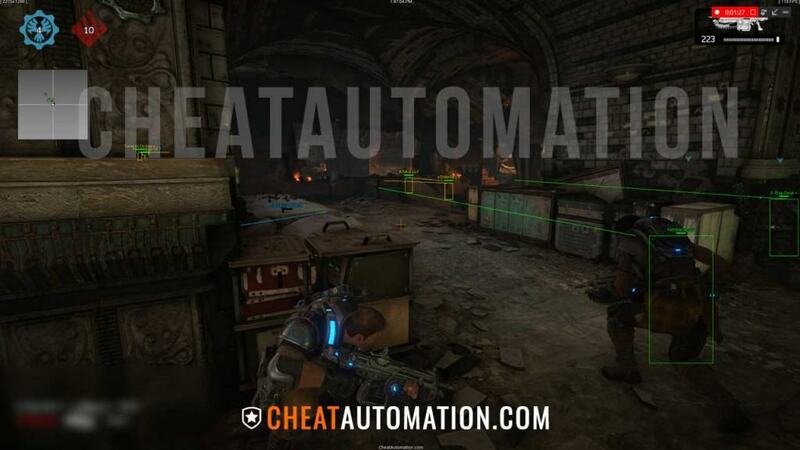 Get complete tactical awareness of the map at all times with our full Gears of War 4 ESP that shows the exact locations of allies and enemies at all times. Track your opponents at all times behind cover to avoid being flanked, and sneak up behind them as you use tracelines to check where they’re looking. Monitor their health with health bar ESP so you know when they’re about to go down. 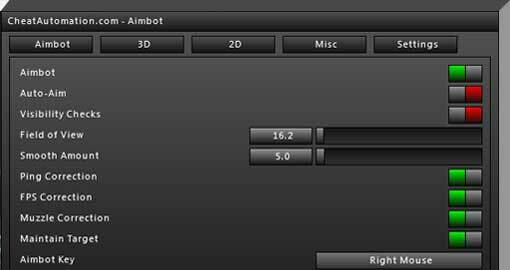 Enhance your awareness further with our 2D radar that lets you see where all opponents are in a 360 degree radius at all times so you can easily keep tabs on them. With our GoW 4 hack, hold the top of the scoreboard every match as you get more kills, downs, and points than anyone else. You’ll be the MVP of your team every match as you dominate anyone who gets in your way. With our GoW 4 cheat, you’ll level up faster and earn more experience and credits to unlock gear packs faster than ever before. Why waste money on microtransactions when you can earn them at a blazing speed in-game? Our Gears of War 4 hack includes our Black Panther menu which lets you configure every cheat feature quickly and easily through its mouse-driven menu. 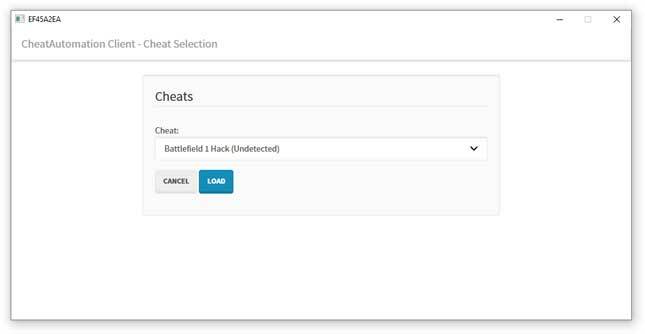 Set up your perfect cheat settings, then save them for your next gaming session. Our GoW 4 cheat is also fully secured against detection by the game client, and uses a light-weight framework that minimizes code footprints that could be detected. Download our hack for Gears of War 4 today! With a fully loaded list of features.. 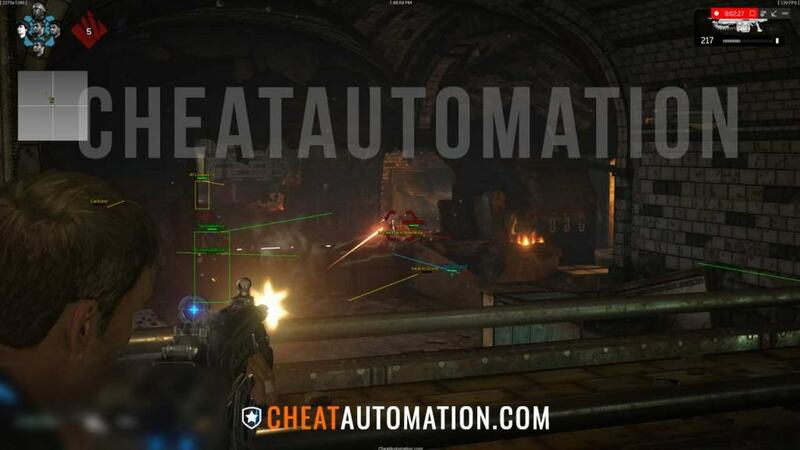 Wreck havoc online with our Gears of War Hack!